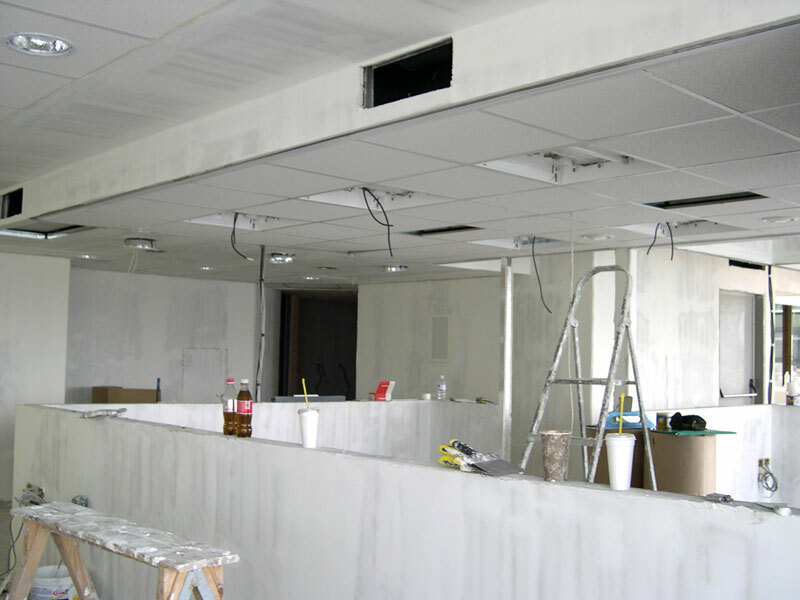 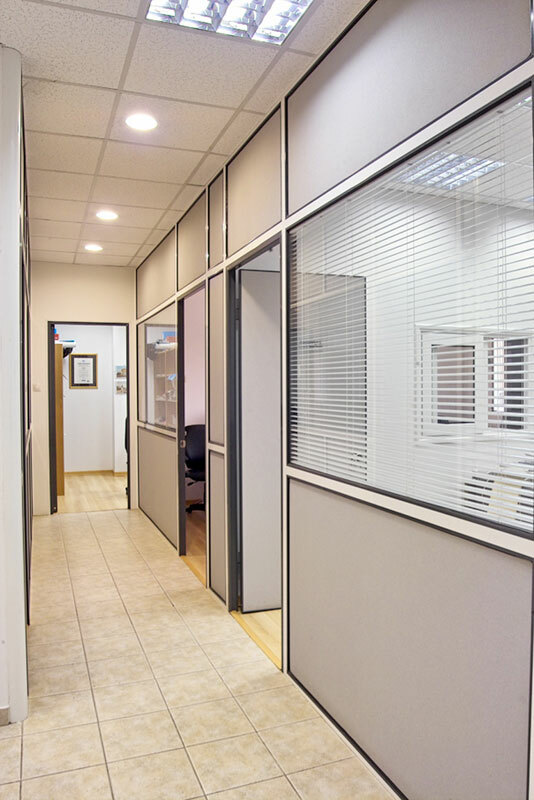 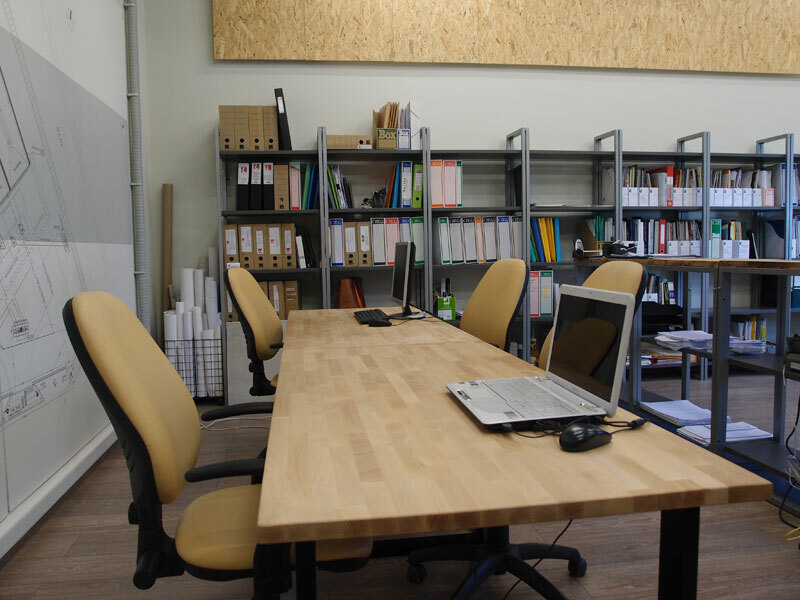 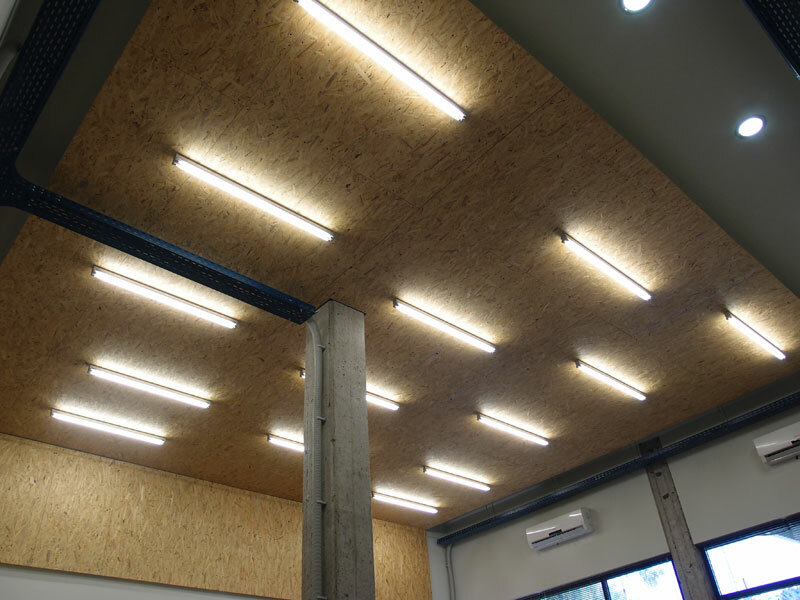 With a broad comprehension of the needs of a professional space, we provide integrated and technologically complete solutions for the construction and reconstruction of offices and stores. 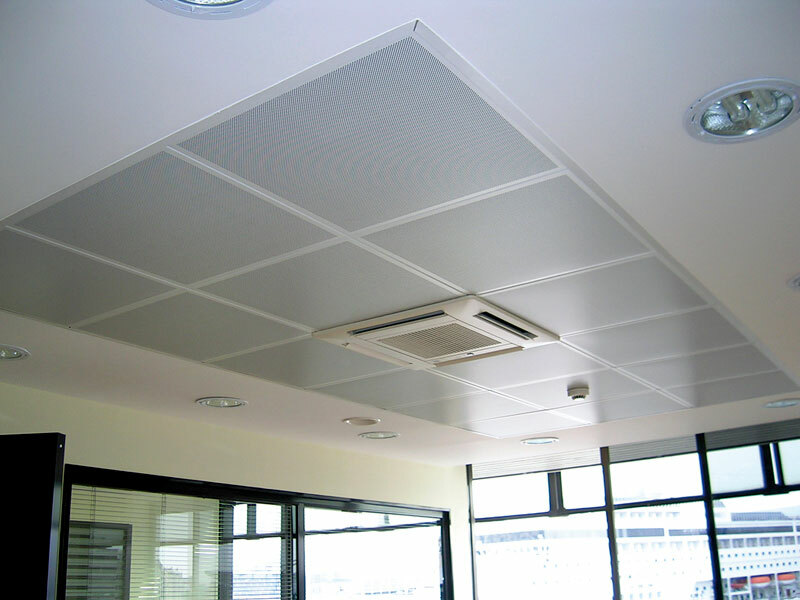 By providing aesthetic and efficient solutions, and by choosing and installing the appropriate electromechanical equipment in each case. 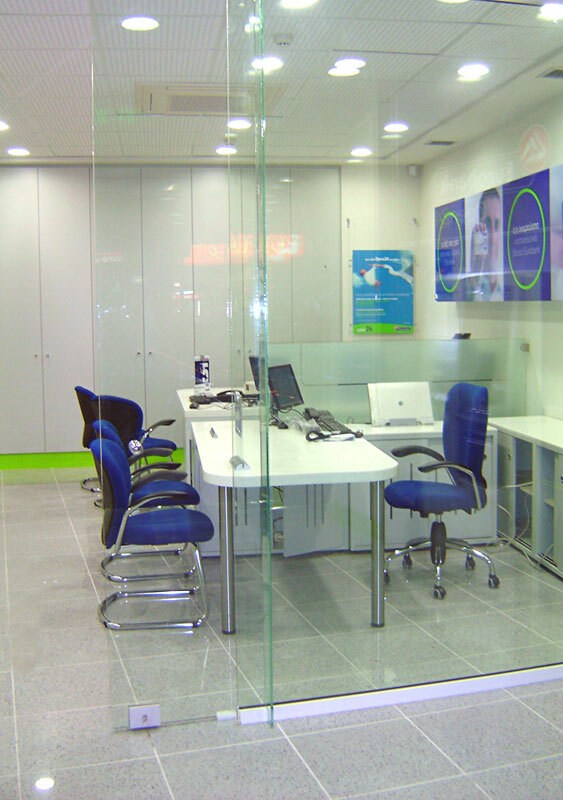 OPAP SA has launched the creation of 670 branch stores (gaming halls). 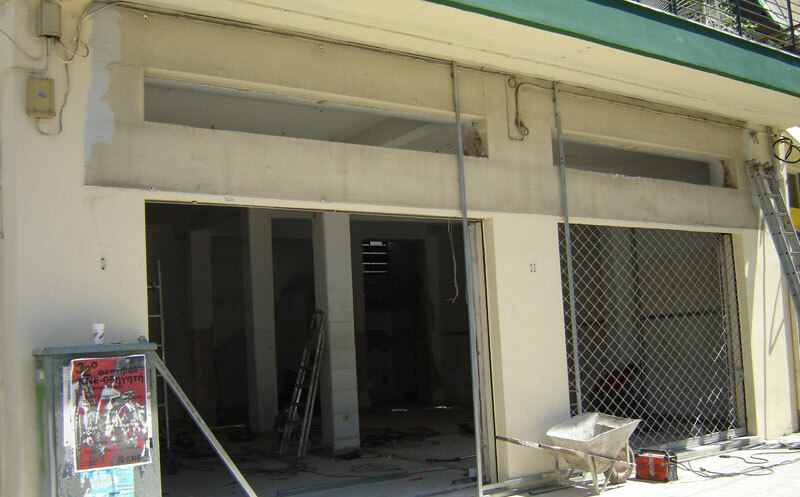 Our company was selected by OPAP for the rebuilding and shaping of existing stores in VLT outlets. 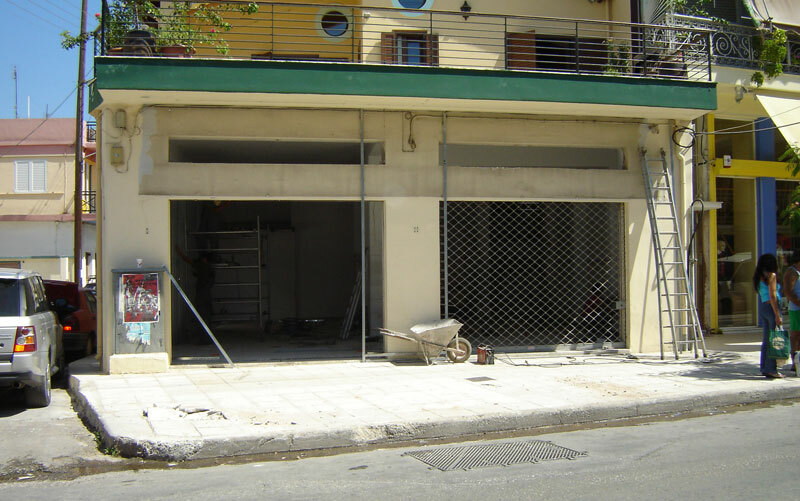 Our company operates nationwide and has already begun its activity in Athens, Argos and Thessaloniki. 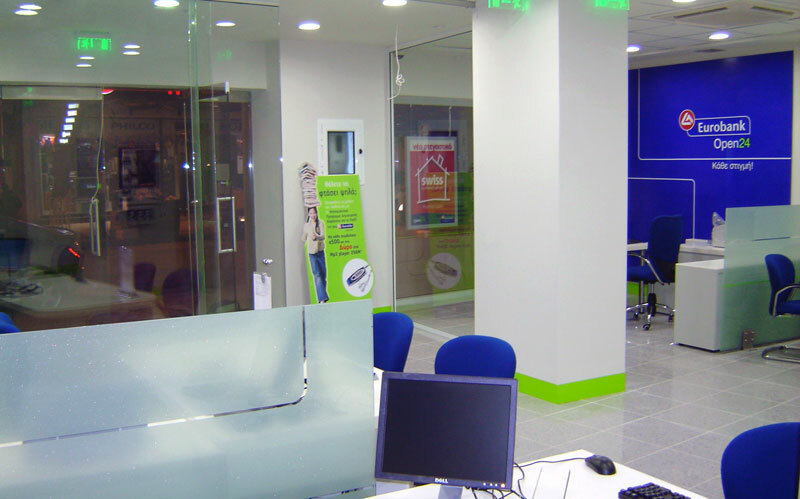 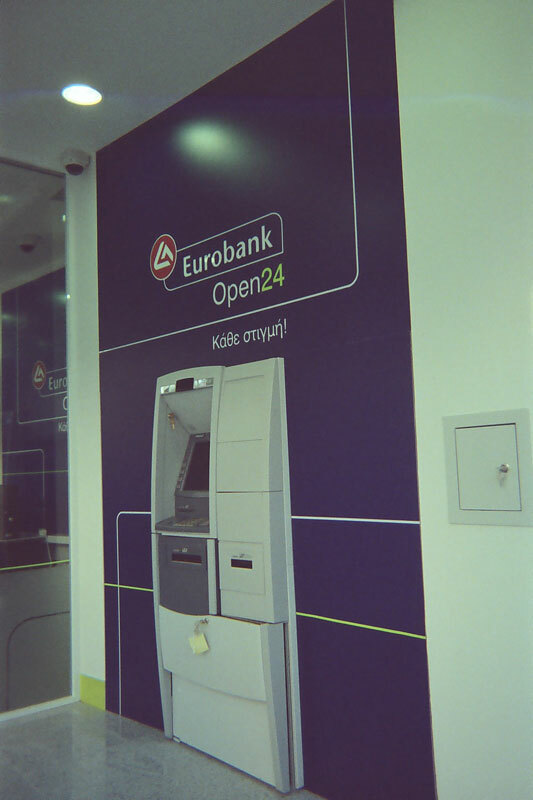 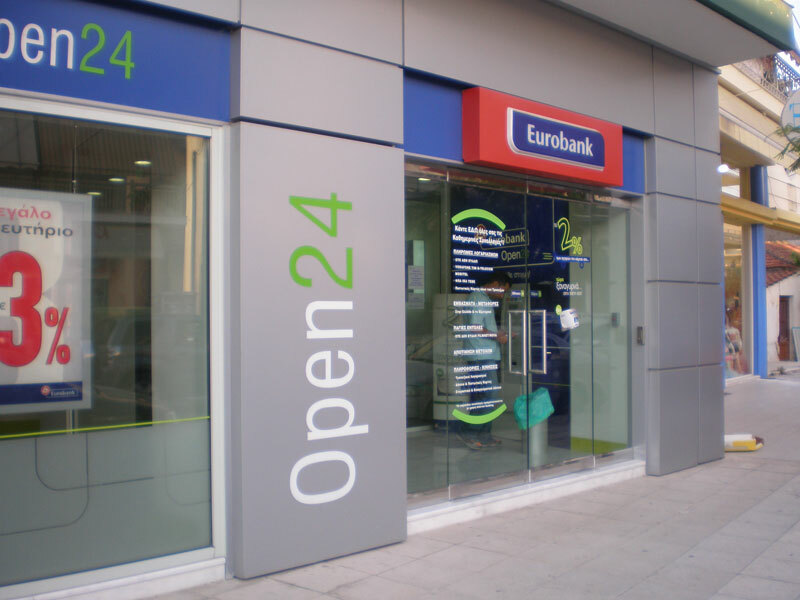 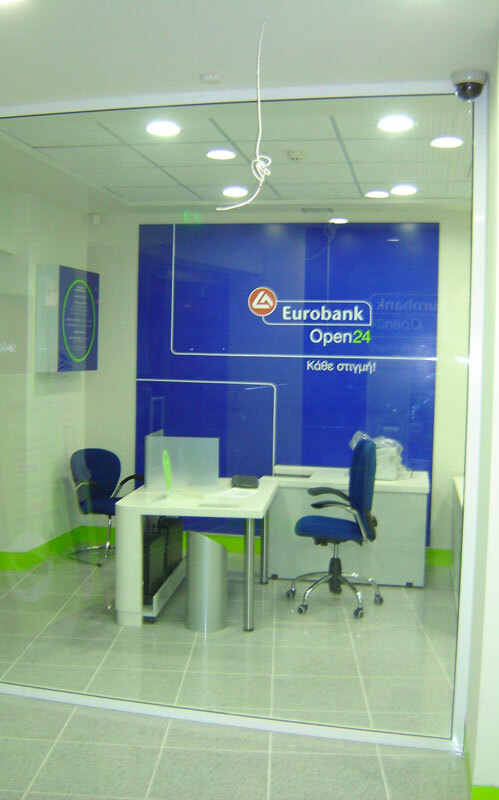 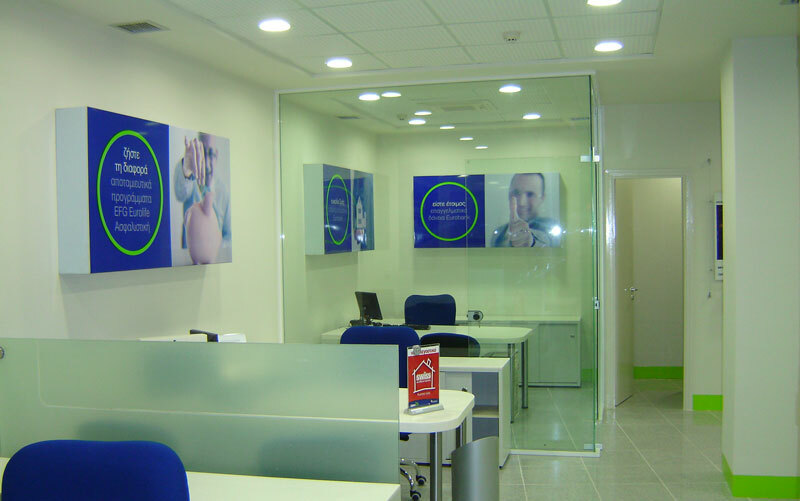 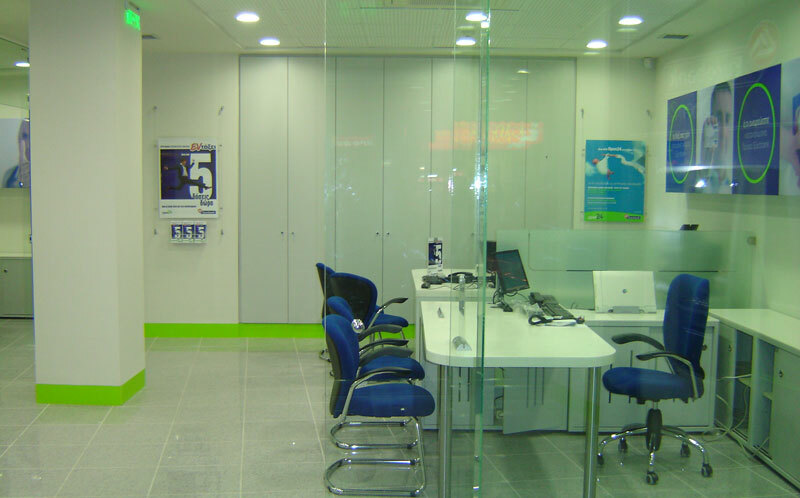 Our company has built 24/7 EUROBANK bank branches in various regions of Greece. 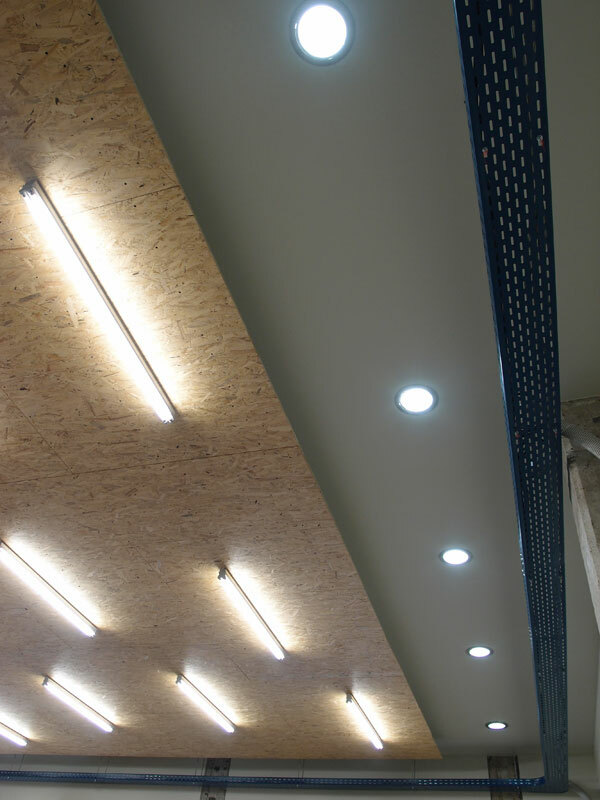 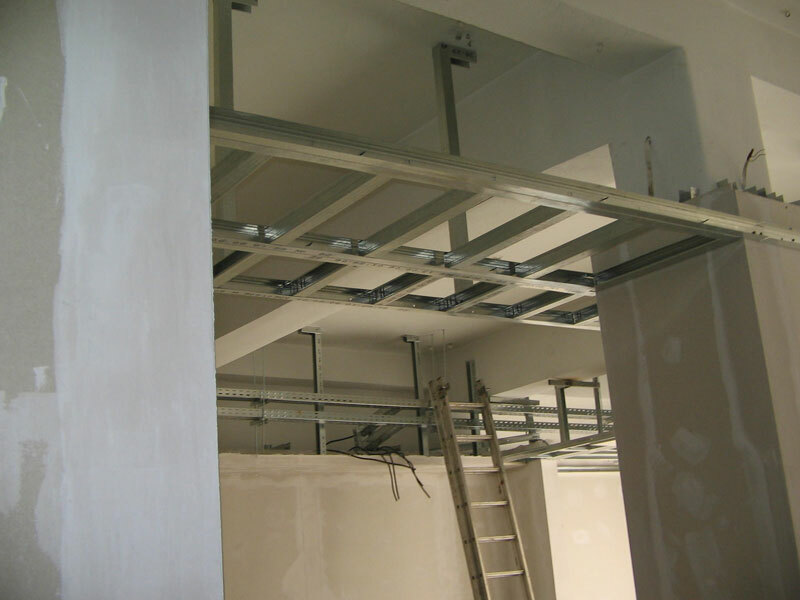 We took over the entire project of the electrical and construction work in new stores as well as renovated old ones. 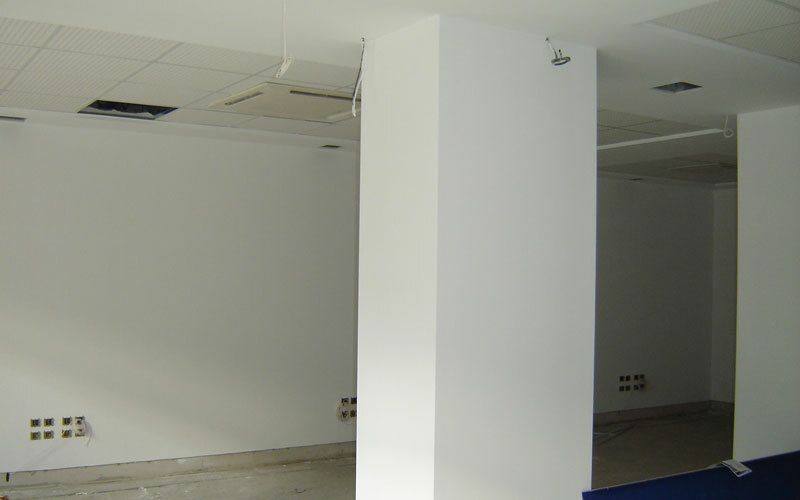 Our company undertook the renovation of the shipping sales building of EKO in Piraeus, on 87 Miaouli str on the 3rd floor. 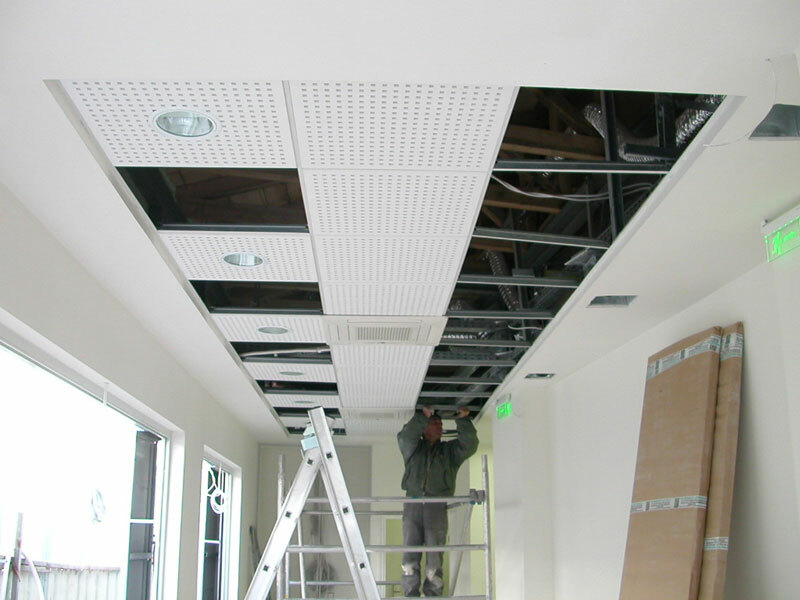 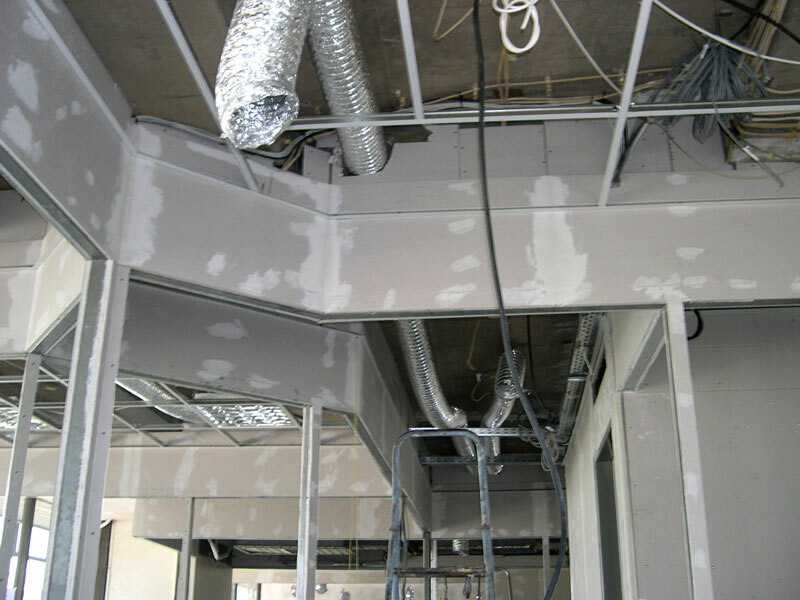 The project included the complete renovation of the office area of 200m2 which was completed in 90 days. 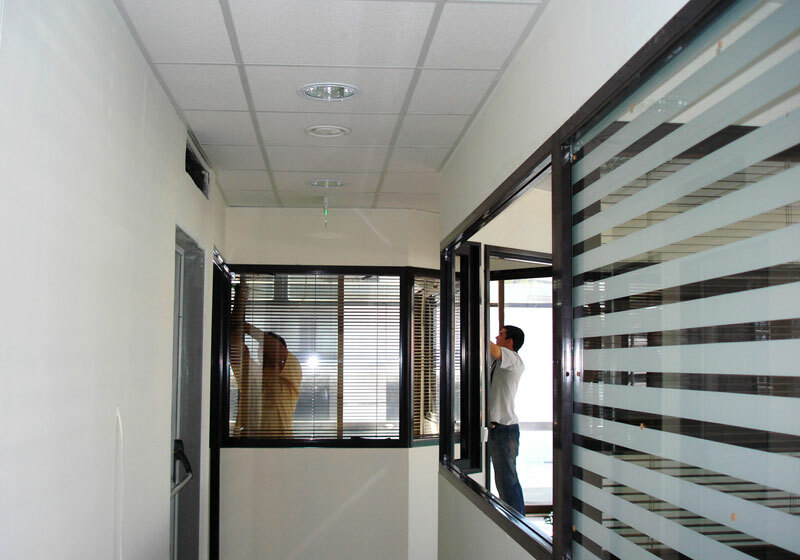 ATEKE group has a specialized design department, “DOMIKI PROGRESS SA”. 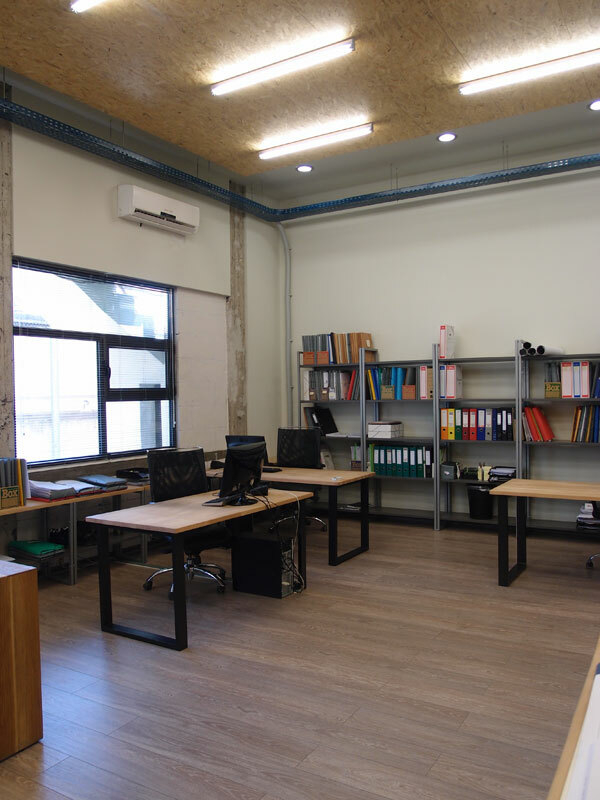 Staffed with highly trained engineers of all specialties: architects, mechanical engineers, electricians, civil engineers, they are able to take on any study required by the construction industry as well as independent projects and licensing projects. 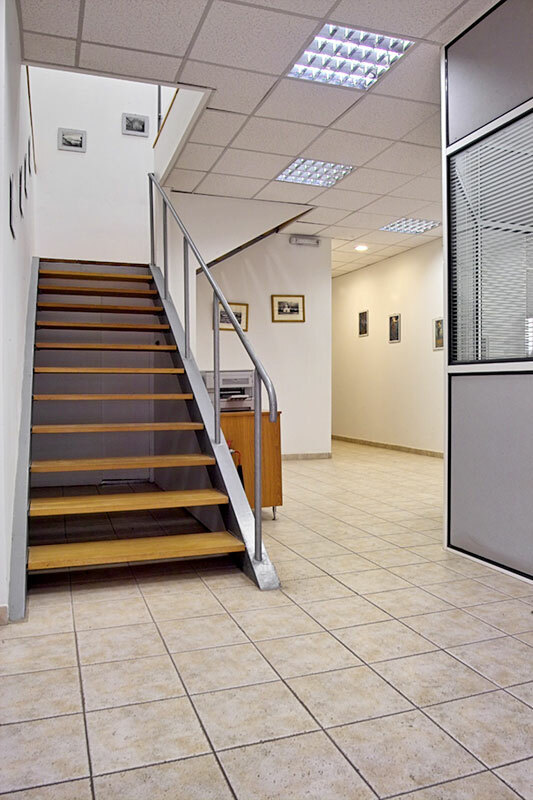 Our specialization in petrol stations and the transport sector in general, as well as the range of specialties our engineers offer, enable us to perfectly respond to any particular design need. 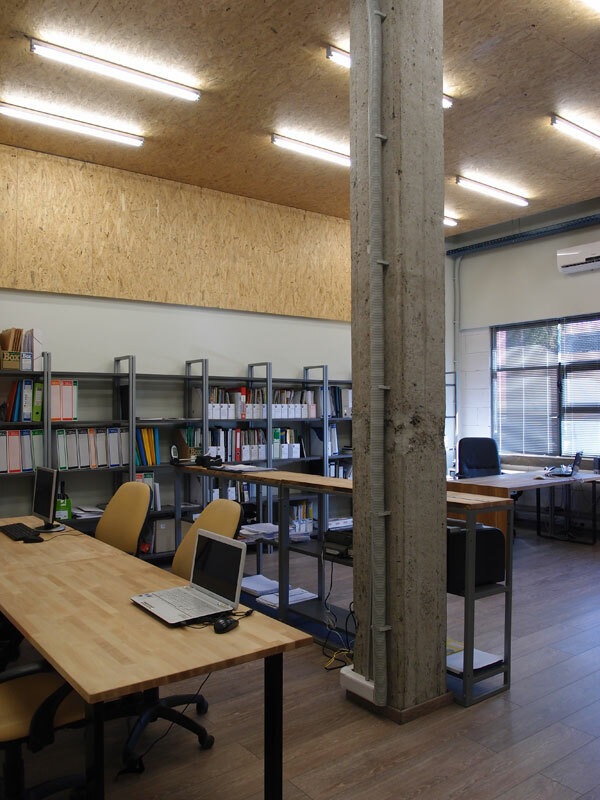 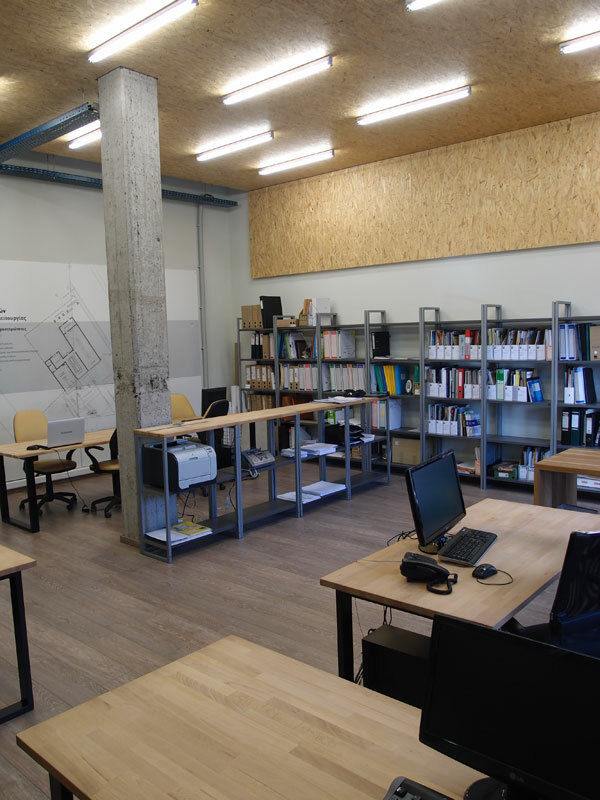 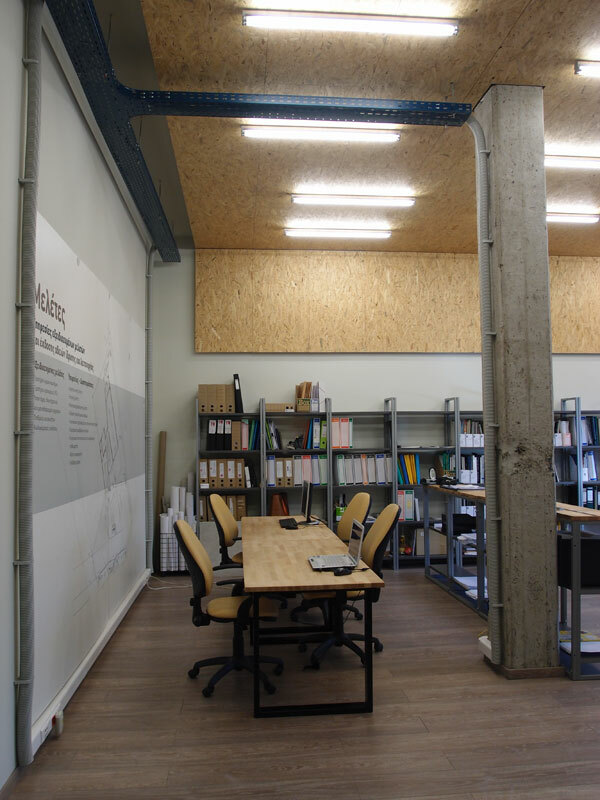 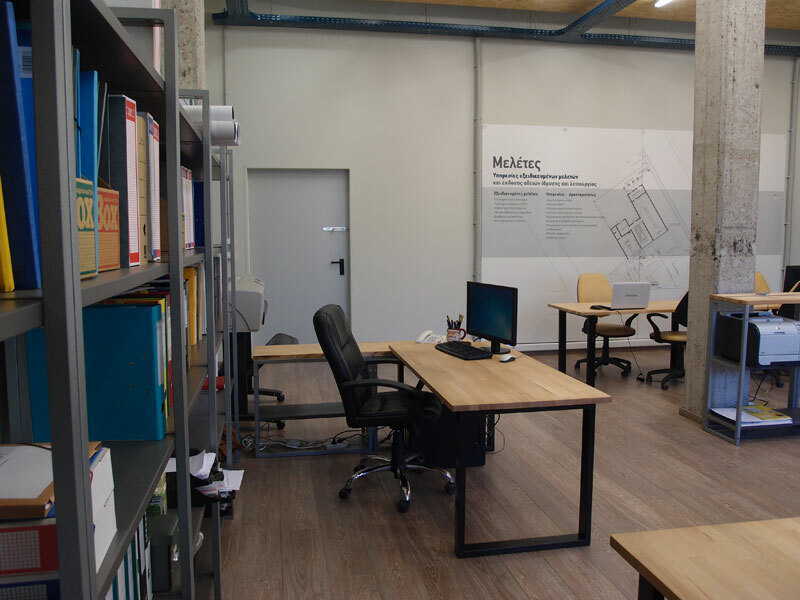 The area of the researchers’ offices are functionally connected to other company offices on the ground floor of the industrial building which holds other activities of the group as well. 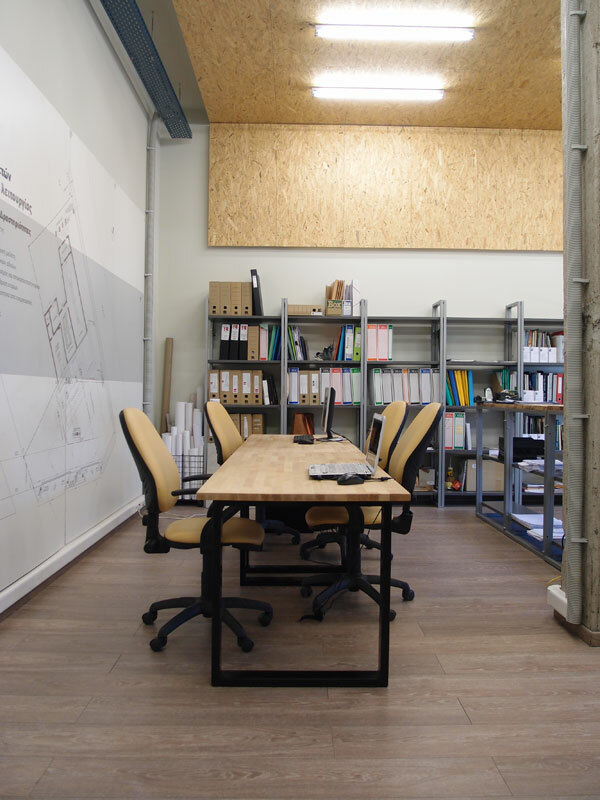 The aim was to create an area of 120sqm, which encourages cooperation. 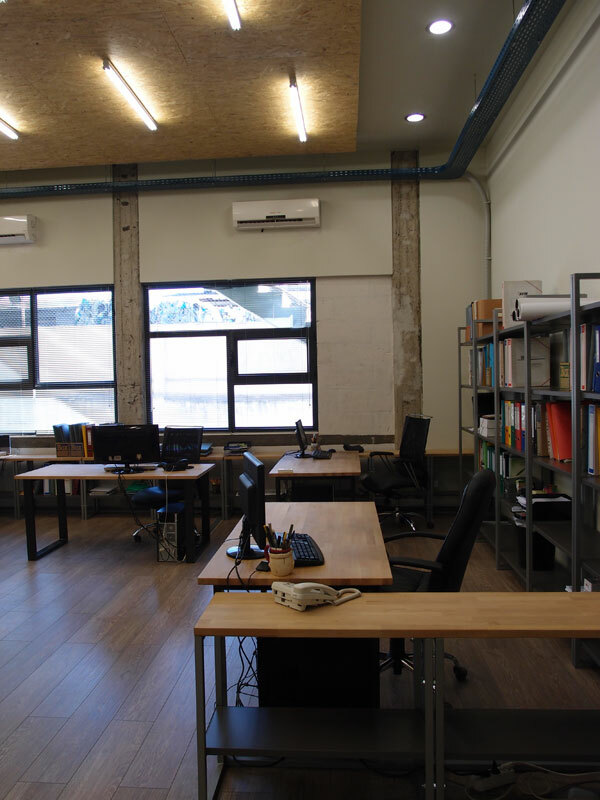 This space with its unique architectural style that includes the preservation of the industrial character of the building, taking advantage of the natural light and the vast use of wood and metal, is a small sample of the work of our design team. 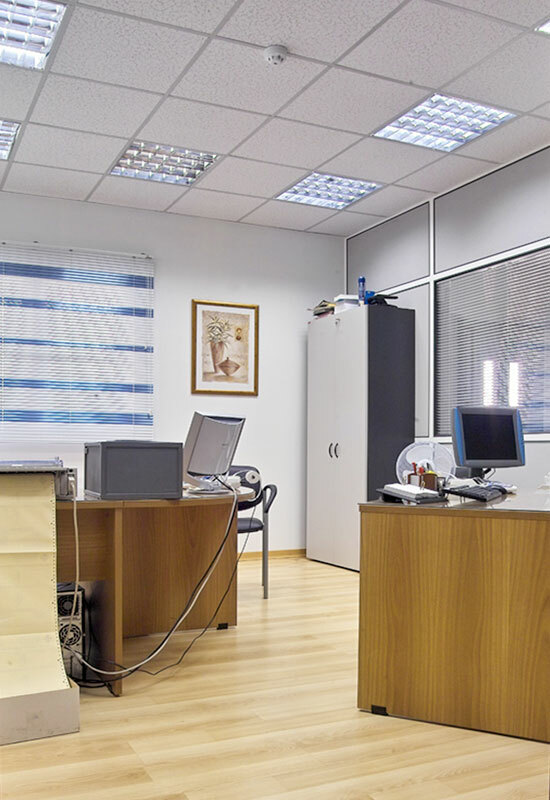 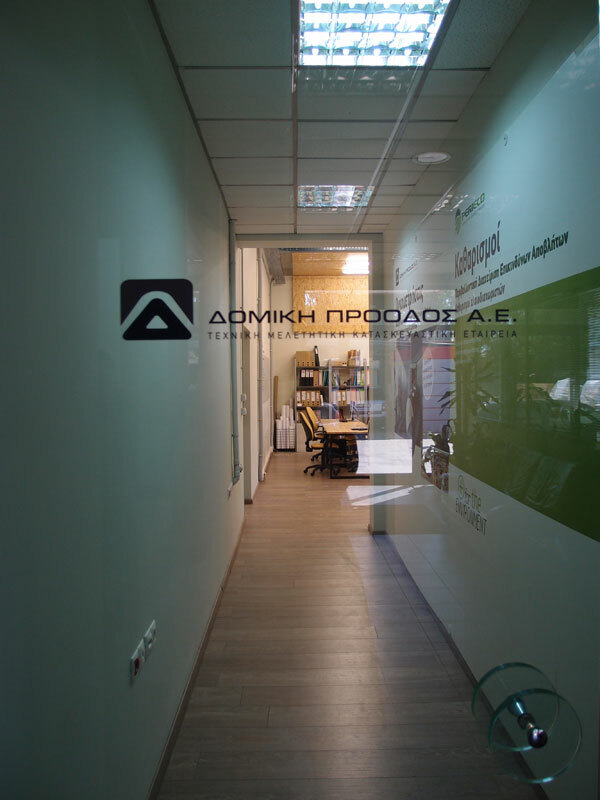 Our company manufactured the ATREFS Ltd. offices in the area of Aspropyrgos. 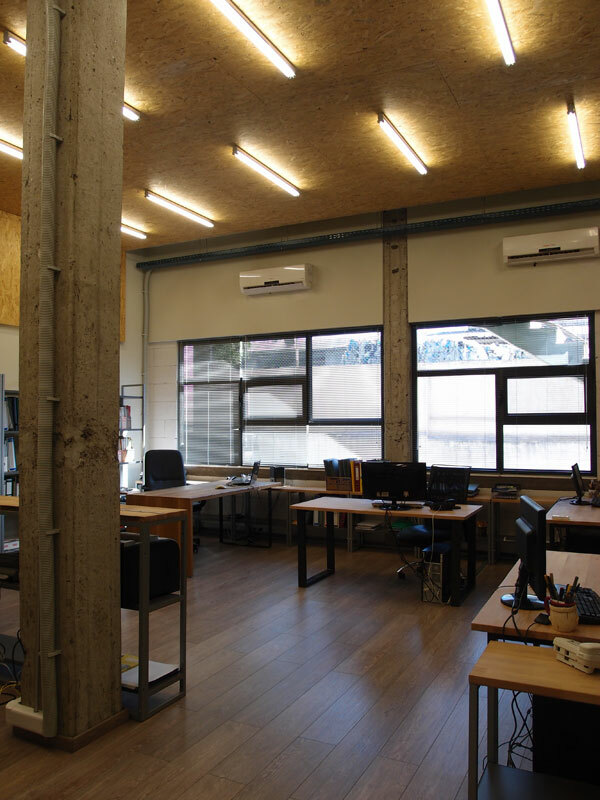 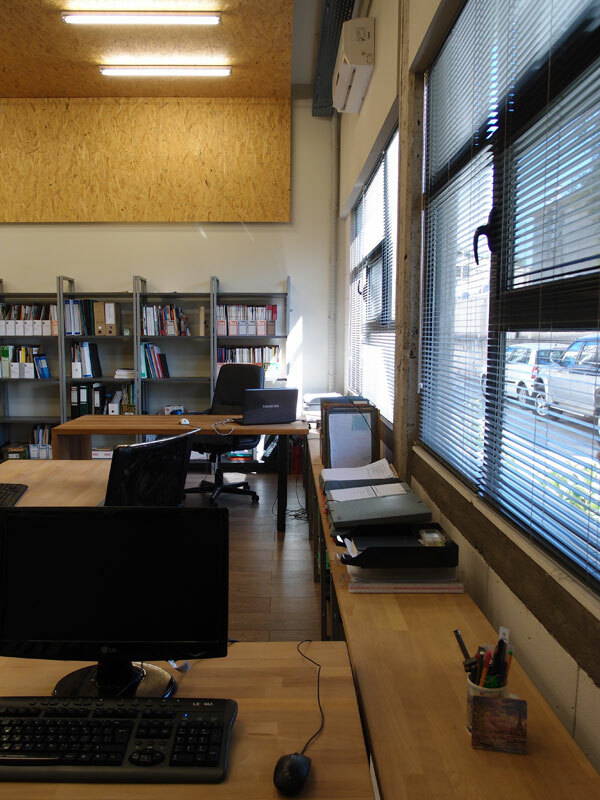 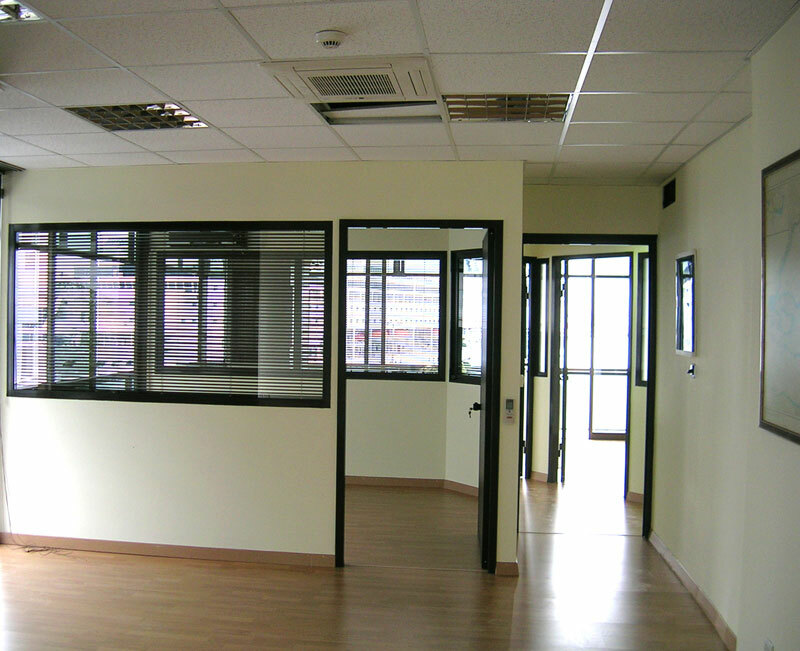 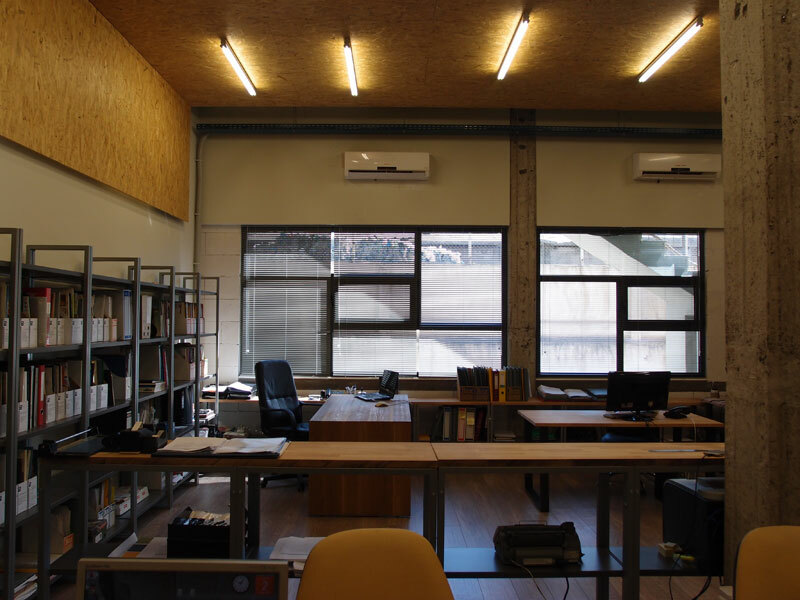 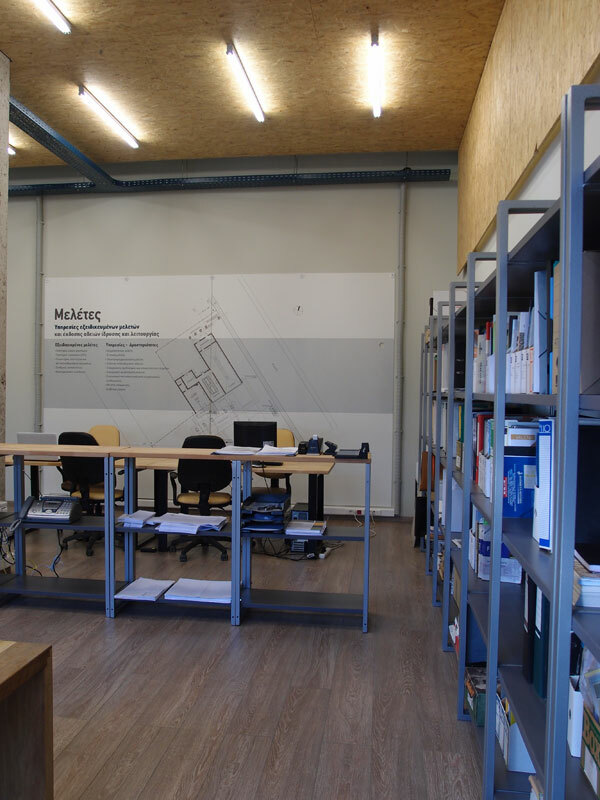 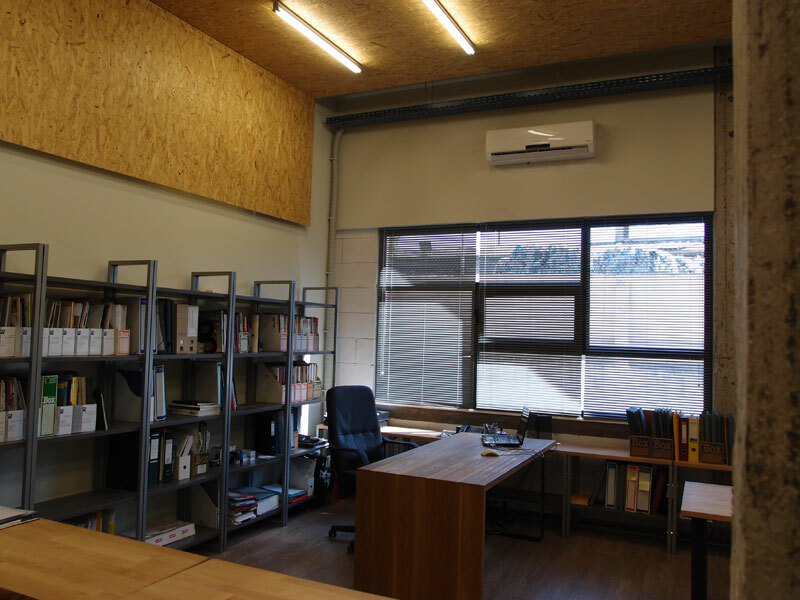 The offices include an area of 200sqm. 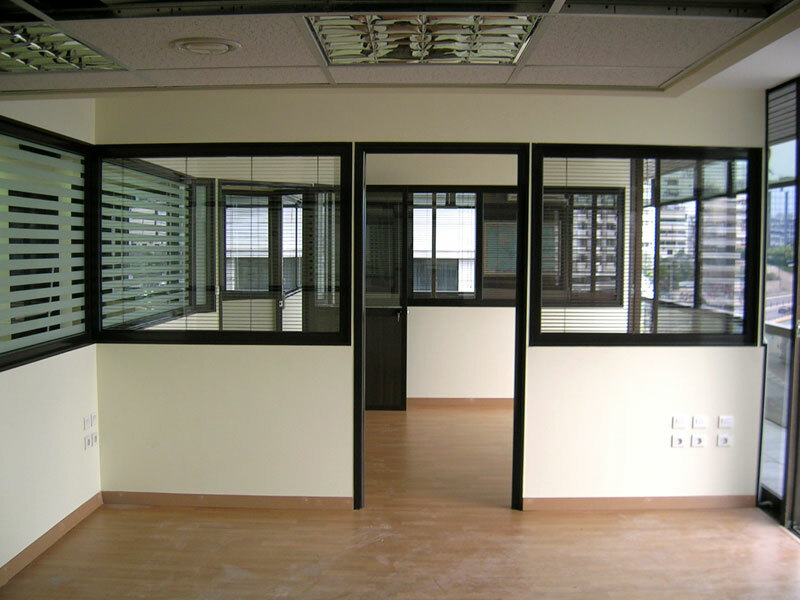 on the ground floor, the 1st floor and the exhibition area of the company.